Born and raised in Miami, Florida, Laura Lieff grew up in the music business. Her family founded and operated a chain of record stores in Florida for 50 years and music has always been a significant part of her life. Laura moved to Colorado in 2002 to attend the University of Colorado at Boulder, where she earned her BA in English. While at CU, she wrote for two newspapers, a publicity company and a band booking agency. After graduation, Laura moved to Denver and began working as a reporter for the Glendale Cherry Creek Chronicle. 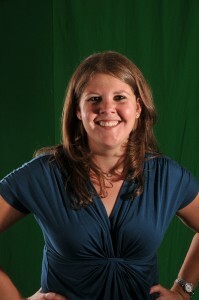 Over the years she was promoted to Content Editor and then to Executive Editor. After seven years, she resigned from the Chronicle and moved to the Vail Valley where she runs her own business, Lieff Ink, which offers freelance writing and editing for a variety of clients. In addition to working diligently for her Lieff Ink clients, Laura is an English and writing tutor, teaching assistant, and substitute teacher at Colorado Mountain College. She also hosts a weekly radio show called Bite the Bullet on 107.9 Radio Free Minturn. Be sure to check out Laura’s blog (which can be found on this website) where she critiques all things pop culture including music, movies, sports and television. She looks forward to working with you and assisting you with all your writing, editing and PR needs!